The ocean is a big place. Sometimes toxins may contaminate the ocean. There are many sorts of toxins. 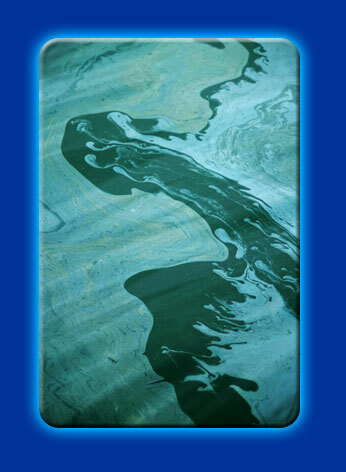 Oil spills, chemicals, metals and even dense patches of marine algae can be toxic to marine animals. Some marine algae can become so thick in the water that they become toxic to fish. Toxins that are difficult for an animal to get rid of may accumulate in their body. Bigger fish that eat smaller fish can get high concentrations of toxins. Animals like seals that eat the big fish, can accumulate even higher concentrations of toxins. High concentrations of toxins can damage an Australian Fur Seals body organs, like the liver. Oil spills can be very damaging to seals. So, a big ship hitting rocks near a seal colony could be a threat. The oil sticks to the seals’ fur. When they try to chew the oil off, a lot of oil can get into their stomachs and cause problems.